Tandem kayaks are a great way to save money, paddle more efficiently, and enjoy the collaborative challenge of paddling together with others. Of course even the best tandem kayaks come with some drawbacks and a there are few things you should definitely consider before making the financial investment and buy a new kayak. I’ve spent years guiding outdoor trips, including working at kayak liveries and managing paddling expeditions. There are plenty of mistakes I’ve learned to avoid and I’m going to do my best to share my knowledge with you. 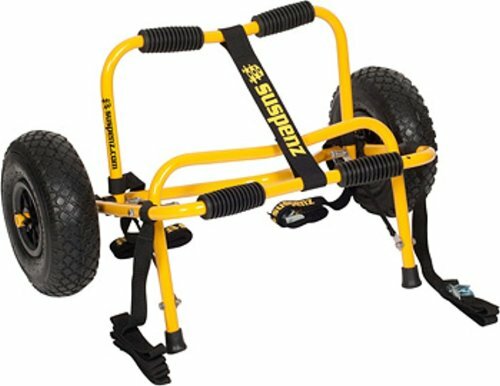 For more of my top gear recommendations, have a look through these popular Outside Pursuits guide links: Kayak Trailers, Kayak Roof Racks, Kayak Carts. Our guide and comparison table of the top rated tandem kayaks will help you choose the right kayak for you. There’s little doubt that this boat features the greatest combination of quality and price. The value of this boat is outstanding and it makes an excellent choice especially for beginners or those on a budget! I like that the adjustable footrests allow for some flexibility. This is important because in the center of the boat is an additional jump seat for a 3rd person. This is best used by a child since it’s molded plastic and quite small. However, it does offer some flexibility and options for family use! While the adjustable seats are a nice touch, the real winner here is storage. This boat has two large storage hatches; one between each paddler’s leg. There’s also another, smaller, sealed hatch in the middle of the boat for additional storage. Behind the back paddler is a deep compartment covered with shock cord lashing for more gear. Because this boat is a sit on top model it makes it easier to dump water out. If you happen to tip the boat then you can upright it much easier compared to traditional cockpits. 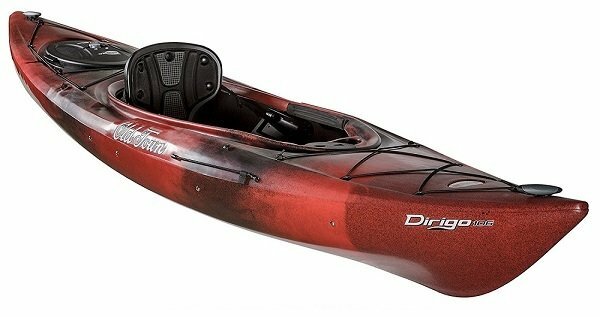 Best For: Paddlers looking for the best tandem kayak with tons of storage at an insanely affordable price tag. So we come to the first inflatable kayak on our list today. Why did this boat make our list? Quite frankly it’s on here because it’s insanely cheap. Not only is it wildly affordable, it also offers the compact form factor of an inflatable boat. So, remember when I said that inflatable kayaks offer some advantages? These boats are easier to transport because you can deflate them and stick them in the trunk. Good luck getting a rigid kayak into a passenger car! They also offer some disadvantages. Because of their shape they can be very squirrelly in the water and tend to zig zag. For that reason using a skeg, like this boat has, helps to keep the boat tracking straight. Make no mistake, this isn’t going to be as ideal as a rigid kayak. However, for occasional recreational use and people who just don’t have the room for a rigid kayak, it may help you get in the water! Plus, it’s silly inexpensive. Best For: Paddlers looking for the best tandem kayak for the money who don’t have room for a rigid tandem kayak. Ready to hit the water with your partner in crime and do some fishing? If that sounds like you, then this is the boat that’s got it going on! With tons of fishing features it’s at home for a day of fishing or a day of paddling the lazy river with friends. Going fishing requires gear. That’s why there are 4 flush mounted rod holders and 2 adjustable holders. Get that gear out of the way so you can fish! Plus there’s a large gear vestibule behind the back paddler with plenty of deck lashing. There are a handful of built in foot rests for each paddler that you can choose from to maximize comfort. Plus it’s a sit on top kayak so there’s tons of leg room. You can even dangle your legs over the side if you want. 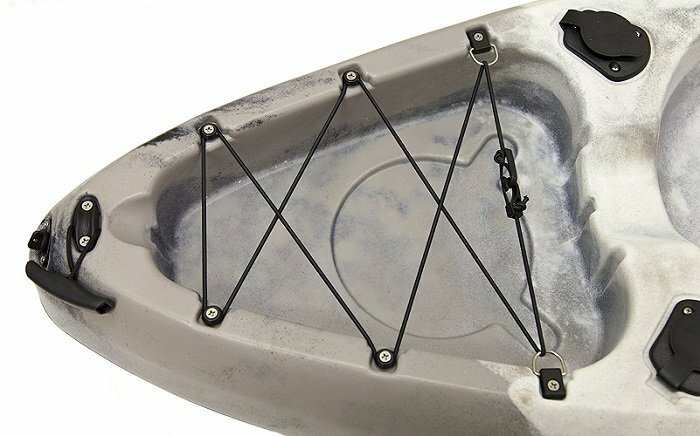 Best For: Kayakers looking for the best tandem sit on top kayak that also might want to do some fishing. This is one of the smaller tandem kayaks we’ve reviewed for this list. That’s a good thing for people with smaller cars or paddling tight corridors. Short boats are easier to handle in and out of the water! Honestly the feature I love more than anything about this boat is the wrap around style seatbacks. These really contour the body and they’re taller up the back than other seatrests usually are. 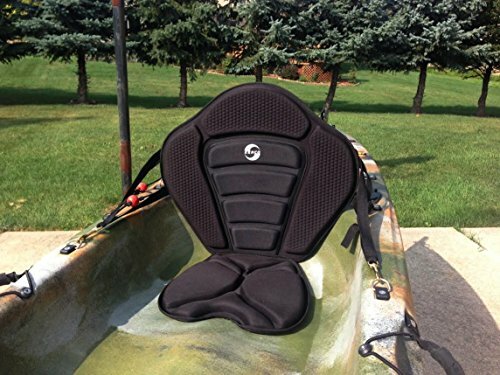 Let me tell you, this is an amazing thing to have on long paddling trips! The boat is quite a bit shorter than many other tandem kayaks. For that reason I would stay away from this boat if you or your partner are particularly tall. I just don’t think it will have the space you need. However the sit on top design is forgiving and comfortable to all paddlers. There’s also a third seat in the middle for a child if you want. The third seat has no padding or backrest, however. Best For: Comfortable seats during long trips and the short maneuverability of a 12’ boat. Let me be clear, this boat is loaded with features! By far the most feature rich tandem kayak on our list, it also sports a hefty price tag. Let’s see if all those features are really worth the higher price, though. While many other boats offer molded foot rests that are set at predetermined intervals, the Yellowfin takes it up a notch. These footrests are fully adjustable throughout their range so you can dial in the fit perfectly to your needs. This is common on high end boats. There are two sealed hatches on the boat. These are doubled up with molded drink holders for a cozy brew on the water. Plus, as if that weren’t enough, you can store two fishing rods in the flush mounted rod holders onboard. 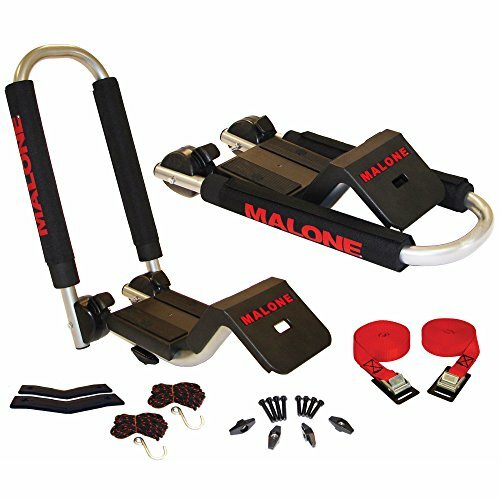 Both front and back of this boat feature shock cord lashing for extra gear or fishing tackle! 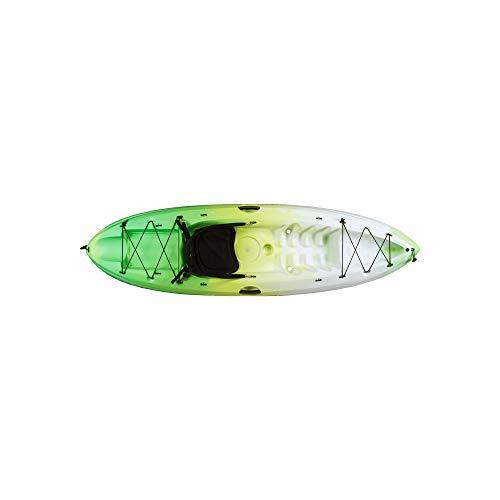 Best For: Paddlers looking for the best 2 person kayak and don’t mind spending a little extra for tons of features! This is easily the coolest kayak on our entire list. It’s inventive and unique and it really solves a lot of problems all in one go. If nothing else on our list seems right for you, this boat is sure to fill the void in your kayak heart. So here’s what’s up. This boat has three seat locations. Either paddle it solo with the seat in the middle, or paddle it tandem with two seats front and back. You can swap them around on the fly and the boat performs just fine in either setup. That’s not all. The aluminum frame on this boat provides the much needed rigidity that most inflatable boats don’t have. However, that comes at a price. This boat is going to perform much like a traditional rigid kayak, but it’ll cost you a lot more than the inexpensive Intek boat earlier on our list. That said, I love the deck rigging for gear storage. There’s also a zippable spray skirt. All these features are supported by three layers of material to help the boat resist puncture or tearing. That means you won’t have an unexpected “pop”! 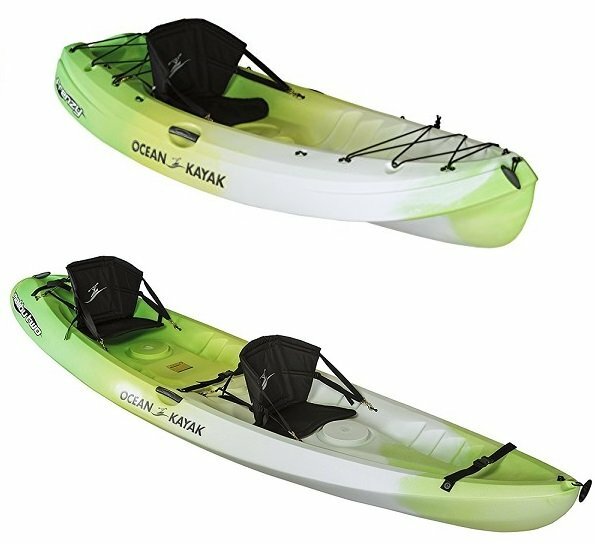 Best For: Those who want one of the of the best two person kayaks and need the flexibility of an inflatable kayak. Old Town is a brand that has been around making both canoes and kayaks for years. When I worked as a livery hand we had exclusively Old Town boats and they were nearly bombproof. I can say first hand that these boats hold up exceptionally well! The Heron is a proven single person kayak model that has been adapted for this tandem boat. It’s a no nonsense traditional cockpit design that features two fully adjustable seats with tall backrests. I wish they would have made the seats wrap around a little more, but some will prefer the thin backrest design. 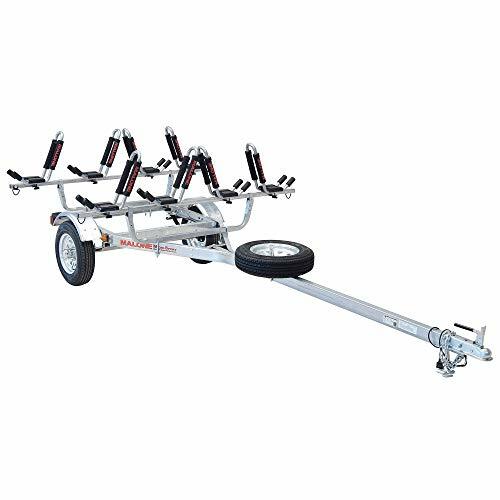 With a maximum load of 500 pounds this boat is capable of handling two people plus gear in most situations. The one downside of this kayak is the lack of a hatch for waterproof storage. Of course you can get around this by using waterproof cases for your phone and keys and just clipping them to your set straps. Tandem kayaks are simply longer versions of traditional kayaks that make room for a second person to ride along and help paddle. Make no mistake, however, you’ll be stuck in the same boat so you’d better get along with your partner for the day! Tandem kayaks are fun, but they’re also work. If you’ve never spent a long day paddling with a partner in the same boat let me inform you of a few secrets. Tandem paddling can be hard and frustrating. It’s a great way to make enemies with friends. If the person in front and back fail to communicate about when and how to turn or where to go, chaos and frustration quickly reign supreme. All that said, once you fall into the rhythm of paddling with your partner you’ll eventually be able to paddle without having to say anything at all! It will take a few trips of practice, tho. Patience is a virtue when paddling tandem. These are all things to keep in mind when you’re looking to pick out a new tandem kayak. If the advantages of a tandem kayaking sound like what you’re looking for then move forward! If, however, I’ve outlined a few things that seem iffy then continue to read while you consider whether or not it’s the best choice for you. There are two main styles of tandem kayak that you’re going to run into. The older and traditional version is the cockpit kayak (sit inside). The newer version is the sit on top kayak. Each of them are advantageous for certain situations so let’s determine which is your best bet. These kayaks are the kind where the paddlers sit down inside a narrow hole. Your legs are inside the boat and your torso is exposed so that you can move and paddle. These boats can feel cramped and leg room is scarce at best! 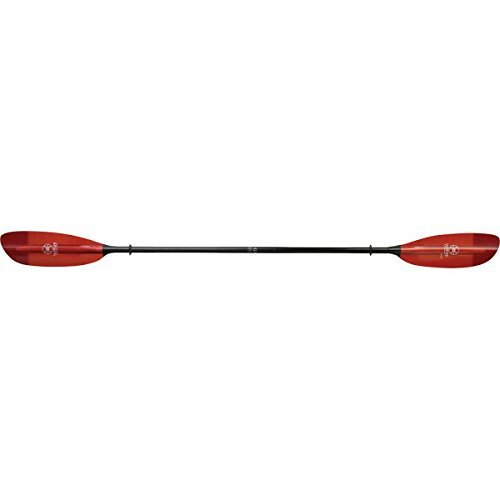 They are, however, generally higher performance than sit on top kayaks and make a good choice for advanced paddlers. Sit on top kayaks are different. They’re open to the air so you just “sit on top” of the boat. They have tons of leg room, they’re easy to get in and out, and if you flip the kayak will self drain! They have quite a few advantages over traditional kayaks, particularly for recreational paddlers. For most users I think that sit on top kayaks make the best choice for recreational use. 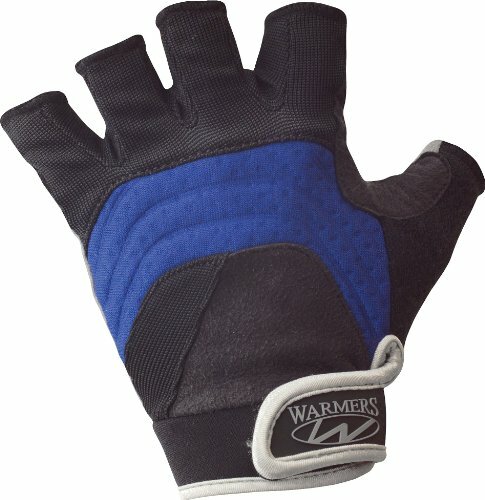 If you’re paddling for an afternoon once in a while, or exploring the lake at your cottage on occasion then these are for you. Traditional kayaks are best for more advanced paddling where efficiency, stability in open water, and advanced paddling technique are required. Think about which type of paddler you are or how you intend to use your boat. These are some rough guidelines that will help you discern the best style to start with! Which is Better for You: Sit-in-Kayak or Sit-on-Kayak? If you are still undecided which is better for you, answer these questions to make a determination. Will you be paddling in warm weather and water conditions? If you will be using the kayak in cold water/weather conditions, a site in kayak may be best for you. Are you a beginner and worried about the kayak tipping over? A sit in kayak is more stable due to the fact you are sitting lower in the kayak and will have a lower center of gravity providing more stability. Will you be kayaking in calm/sheltered water or in the ocean? 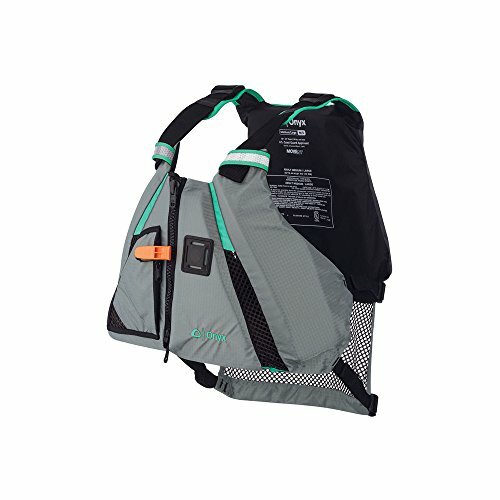 A sit in kayak will keep you more protected from the elements and the ability attach a spray skirt giving you more protection from the elements that a sit in kayak. You’ll be paddling with two people. That means you should have room for twice the gear, right? Many tandem kayaks fail to offer adequate storage for both people which can be an oversight. There are a few other pitfalls to watch out for as well! Storage comes in several flavors when it comes to kayaks. 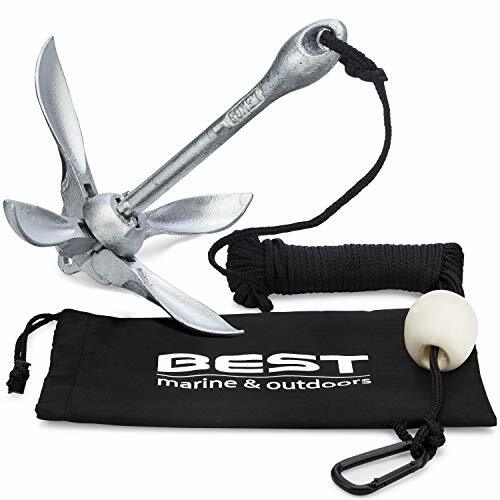 Deck lashing and shock cord is the most simple and is common in traditional kayaks. Sit on top kayaks may still have some areas available for shock cord lashing as well, however. With deck lashing, whatever you store will be open to the water dripping from your paddle or if you flip the boat. Oops! The more watertight option is called a hatch (often just called storage compartment). Hatches are not always waterproof though! Waterproof hatches are necessary only if you’re in danger of flipping the boat or in very rough water where the boat is being soaked. Most paddlers don’t brave these conditions, however. For that reason, even non-waterproof hatches are a great option. They seal close so that if the boat flips your keys, phone, and wallet won’t sink to the bottom of the lake. Instead of getting into the details of the pros and cons of various kayak lengths, I’m going to keep it general. That’s really what it boils down to in a nutshell. Of course, there are more details for advanced kayakers to master. However, just remember that you’ll need a vehicle capable of handling a long boat. 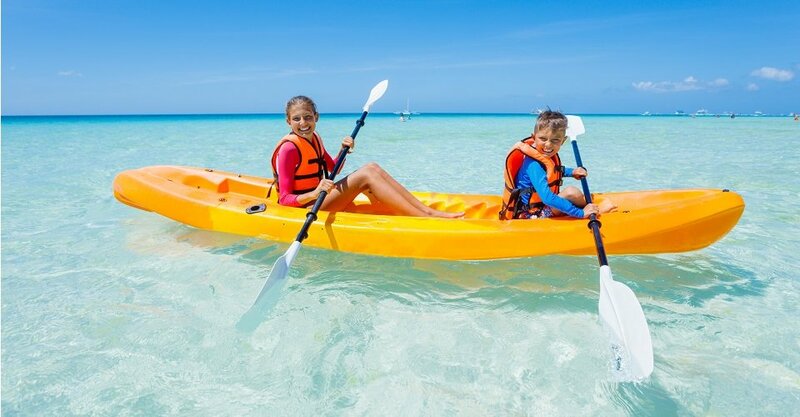 Tandem kayaks may vary in length between 12 feet to 16+ feet long depending on what you’re looking for. These boats have a special place in my heart. On one hand I hate the idea of a blow up boat. On the other hand I love how convenient they are and how many problems they can solve! Today’s inflatable kayaks are nothing like pool toys. They use high pressure pumps to achieve a very rigid structure on durable materials that will stand up to a lot of use. Don’t be fooled, however, you can still tear a hole in them if you’re really careless. Inflatable kayaks can fit into passenger cars without taking up space. They’re ideal for transporting if you can’t find a way to move a traditional rigid kayak. Inflatable kayaks and rafts are also becoming more popular for special backpacking trips called packrafting. Don’t dismiss inflatable kayaks as junky gimmicks. They’re really quite easy to use and reliable. Some of the best among them even rival rigid kayaks for performance and features! If you want to see some more recommendations of inflatable kayaks, see my reviews here. Spray Skirt – this addition is common among whitewater and touring boats. It prevents waves and water from entering the cockpit and submerging the boat. Rocker – One of several design considerations in a kayak’s shape. Rocker describes the amount of arc or “banana” shape that the boat has. The more rocker, the easier to turn. Skeg – This often detachable or retractable fin helps to stabilize some kayaks in windy conditions or when paddling straight over long distances. Rudder – Not to be confused with a skeg, the rudder is actually use in controlling the direction of the boat as an aid to paddling. Polyethylene – The most common and least expensive material to produce boats from. It’s cheap but heavy. Polyethylene tends to break down with exposure to UV so store boats in the shade! ABS – More resistant to sunlight damage than Poly boats. ABS is more expensive but more durable and easier to repair. Composite – These can be Kevlar, fiberglass, or carbon fiber and they’ll cost you a fortune! These kayaks are lightweight and top-performers across all classes but they’re hard to find and very expensive. There is a kayak on our list for everyone. I tried to make sure that just about every budget, skill level, and preference was represented here. There are boats for angler, recreational users, and power users. Of course, it’s up to you to figure out exactly which one to go with. If you’re still confused, go back and review the “how to choose” section to get some more ideas. There’s nothing wrong with heading down to your local outfitter shop and examining tandem kayaks yourself! Just remember to consider all the factors at your disposal before you just buy the first tandem kayak you see. I hope this guide was helpful for finding the best tandem kayak to fit your needs. If you want to comment or recommend a kayak I didn’t include, please use my contact form to get in touch. 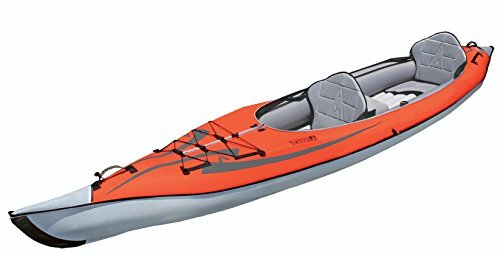 I love kayaking and reading some of these reviews is making me want to upgrade my Kayak…. Are any of these dog friendly do you know? I love to Kayak with Ralph my miniature dachshund and we both really enjoy the great outdoors…. Honestly any of the tandem kayaks would work. I am not aware of any “dog specific” kayak.